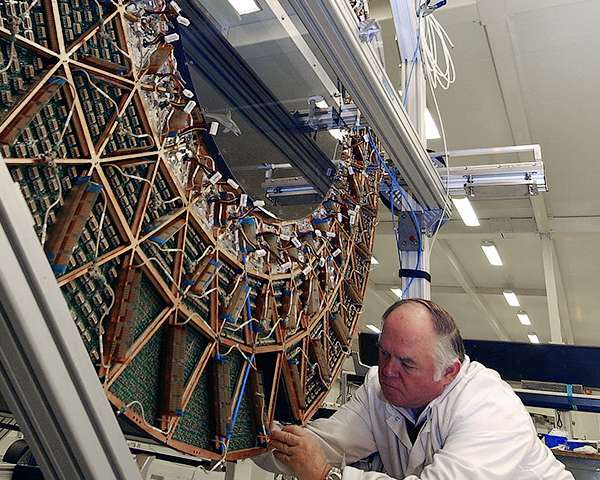 Employees of MEPh are the first to develop detectors of transition radiation, able to split hadrons (protons, K-mesons and pi-mesons) in record-high energy fields from 1 to 6 TeV. Transition radiation (TR) is a form of electromagnetic radiation emitted when a charged particle passes through inhomogeneous media, which for the first time was demonstrated theoretically by Ginzburg and Frank in 1946. It was detected experimentally at the Yerevan Physics Institute in 1959. The MEPhI Department of Physics actively participates in international physical experiments including ones connected with the application of transition radiation. 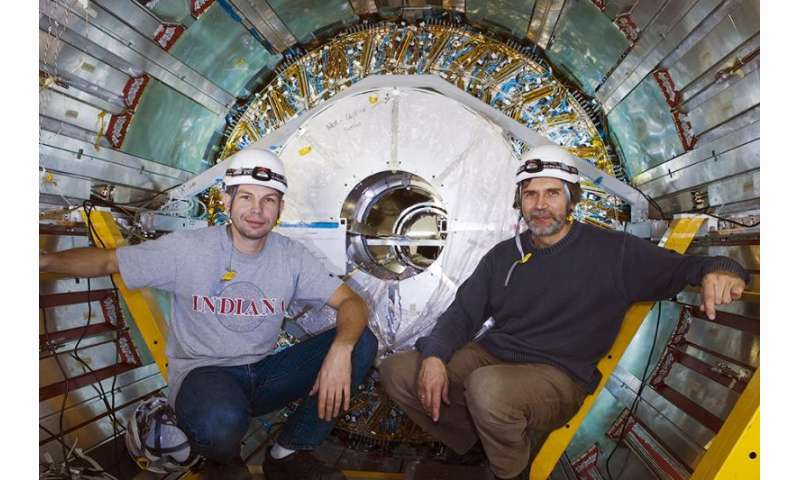 A new experimental small angles spectrometer (SAS) is planned separately from the ATLAS experiment at CERN, where MEPhI scientists contribute. A new IP detector is planned for its launch under the supervision of Professor A.S. Romaniuk. Detectors of transition radiation are usually used for extraction of electrons from the hadron background, and their working field is limited to hadrons by gamma factor ~500. At higher gamma factor values, the transition radiation extraction from hadrons becomes significant, but in reality, it becomes saturated under gamma factors of ~ 3*103. However, in many studies of cosmic rays and modern and perspective accelerators, there are problems of identification of particles in the field of gamma factors up to ~105. This is not an easy task, and currently, there are no detectors able to split particles with a unit charge in the field of gamma factors. Detectors of transition radiation for identification of hadrons in the TeV field of energies would offer opportunities to solve many tasks in experiments on accelerators and in cosmic research. For example, this is a key methodology in a planned experiment to study hadron formation at a low angle at the Large Hadron Collider. Additionally, such technology would contribute to studies of fundamental processes of quantum chromodynamics at a small angle, as well as the measurement of hadron contents in experiments at the LHC. It allows improved accuracy in detecting of particles with energies up to 1017 eV, where there is a change in the behavior of particles' range. Properties of detectors of transition radiation are largely defined by radiators of transition radiation. Theoretical applications of different materials and structures for radiators of transition radiation will be studied during the project. The working prototypes transition radiation detectors will be developed and tests on particle beams will be conducted.